Every year on Christmas morning, I bust out my Holly Jolly Minnie Mouse Ears. They’re super glam and somewhat dorky, but I totally love them. I don’t usually buy souvenirs. For the most party, souvenirs are over-priced and just end up taking up space in my house. I have enough stuff already. My house looks like a 24-hour jumble sale on any given day. Why would I buy a weensy snow globe that lights up and requires batteries? JUNK. BUT. Once in a while I come across some frippery that I absolutely must have. It’s something fun, that I don’t already own, and that will completely embody the spirit of whatever adventure I’m on. That’s what happened with my glorious Holly Jolly Minnie Mouse Ears. We only had three days to spend at the parks, so we picked Magic Kingdom, Hollywood Studios and Epcot. To cram in as much fun as we could, we went at a breakneck speed. On the first night, we stayed at Magic Kingdom long enough to see the fireworks. Of course, that also meant my kids had to watch about 600 vendors parade back and forth with a cart full of light-up junk that they just had to have. We didn’t buy any. We told them to hold out for something really good that they could get anywhere else. (I can get light-up crap at Five Below, for cryin’ out loud. Which they were. Let me tell you, by the time we got to Epcot, we were all pretty cranky. Our kids were in major meltdown mode. But as we were leaving Epcot, and saying good-bye to Disney World, I saw the perfect souvenir: Holly Jolly Minnie Mouse Ears. If you’ve been to Disney World, you know you can buy all kinds of ears: Maleficent, Alice in Wonderland, Cruella de Ville, Cinderella, ones with feathers, ones with ribbons. You get the idea. I had passed up all of those, hoping to see something that called out to me. 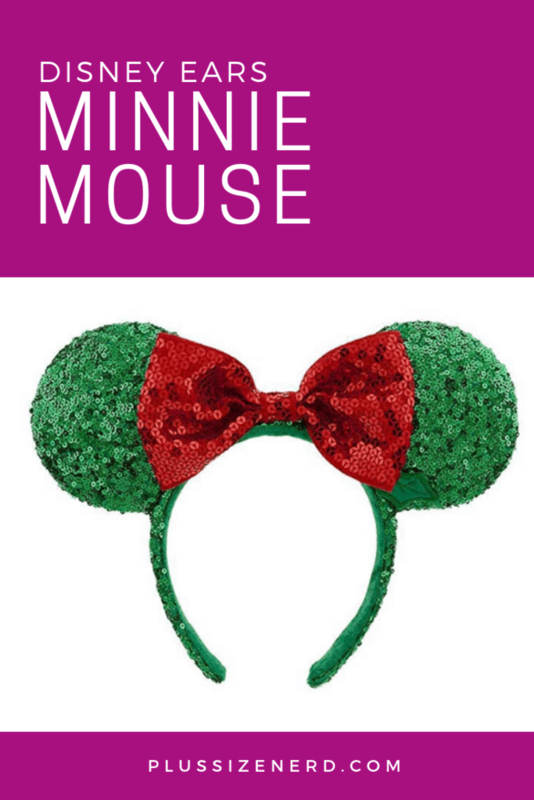 These ears with red and green sequins were me me me. I’ve always loved sequins and glittery things. What could be better than glittery Christmas colors? (I also love Christmas.) So, I bought them and I wear them every year. 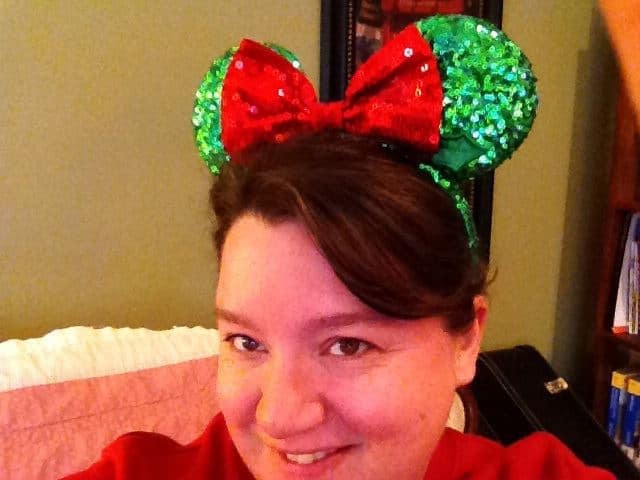 Looking like a dork in my Holly Jolly Minnie Mouse Ears on Christmas morning. If you aren’t visiting Disney World any time soon, you can buy them online. 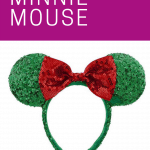 Amazon actually has official Disney Parks Holly Jolly Minnie Mouse Ears. There are also lots of other kinds and some knock-offs. You can also get Disney-inspired ears from independent crafters on Etsy. Lots of Disney nerds make their own Minnie Mouse ears. If you’re crafty (I’m not) you can whip up your own at home. Check out this DIY Disney ears video with Sierra Schultzzie.